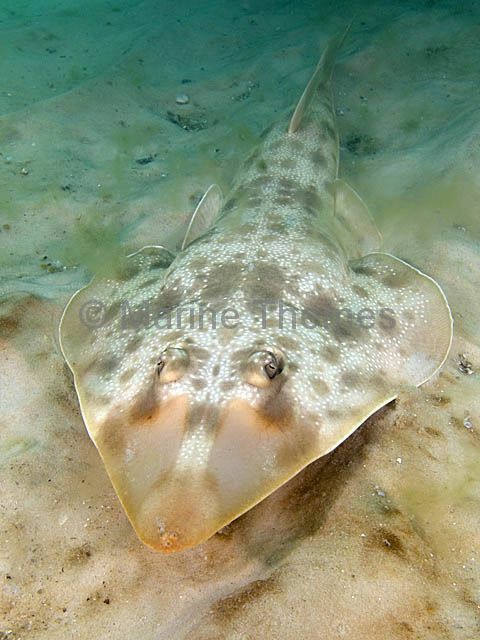 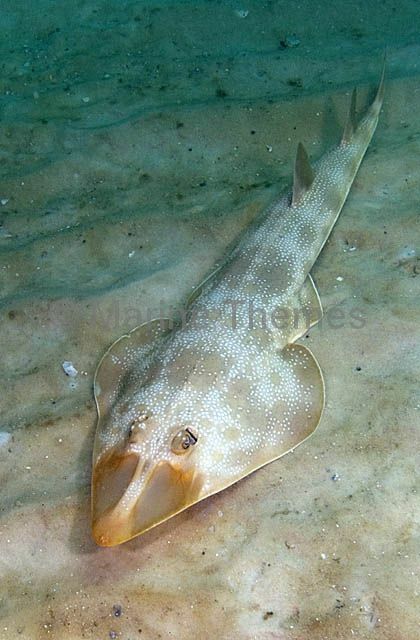 Atlantic Guitarfish (Rhinobatos lentiginosus) on sandy sea bed. 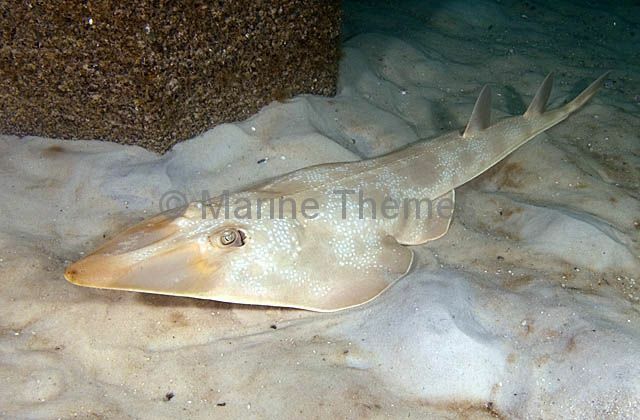 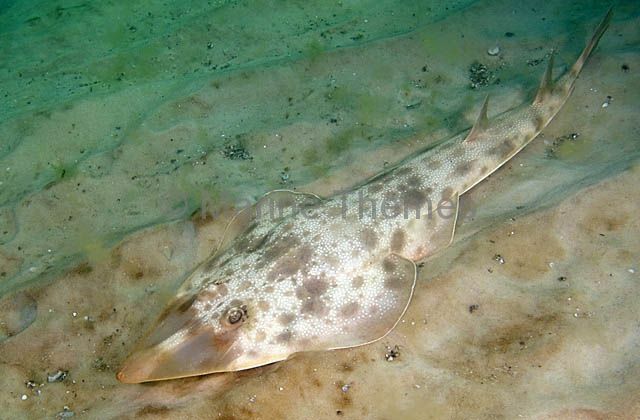 Atlantic Guitarfish (Rhinobatos lentiginosus) on sand and silt sea bed. 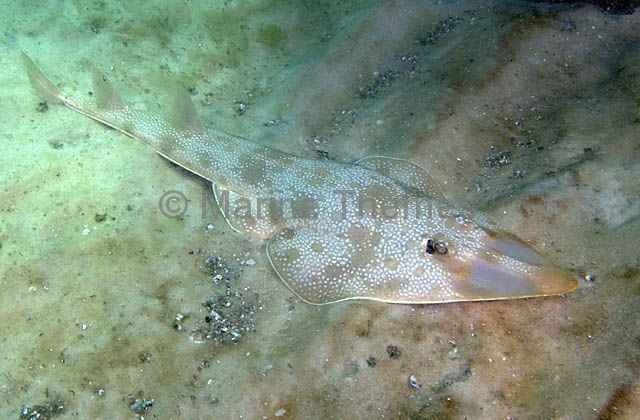 Atlantic Guitarfish (Rhinobatos lentiginosus) showing translucent snout.